Evidence that fetuses at risk for preterm birth have abnormal neuroconnectivity has been revealed for the first time by researchers based at the Wayne State University School of Medicine, the Perinatology Research Branch of NICHD/NIH and the Yale School of Medicine. Preterm infants are three times more likely to develop autism spectrum disorder, attention deficit/hyperactivity disorder, developmental delays, and experience a higher rate of school failure. This new discovery suggests that disordered neuroconnectivity associated with developmental disorders and human prematurity may originate in utero. Prenatal differences in neuroconnectivity may be the basis for neurodevelopmental disorders that become clinically apparent in infancy, adolescence or adulthood in a subset of children born preterm. Neuroconnectivity is important because some functional disorders of the brain (e.g., mental illness, developmental disorders) are not due to a discernible anatomical disorder of the structures, but rather to problems in neuroconnectivity. Functional neuroconnectivity can only be studied using advanced neuroimaging techniques, specifically functional magnetic resonance imaging (fMRI). This was a prospective study that included babies at risk for preterm birth (n=14) and a control group of fetuses not at risk for preterm birth (n=18). Imaging of the fetal brain was done with blood-oxygen-level dependent (BOLD) fMRI and patients were enrolled at the Detroit Medical Center/Wayne State University/Perinatology Research Branch of NICHD/NIH. The key findings were fetuses who subsequently were born preterm had a weaker functional connectivity compared to those subsequently born at term; the affected area of the fetal brain was the left hemisphere – specifically, a part of the brain near the language center (also called Broca's area); and there were no areas in which connectivity was greater in preterm newborns than in term newborns. The work suggests that neurodevelopmental disorders associated with preterm birth may begin in utero. “This discovery will alter current conceptualization of prematurity and injuries associated with early delivery by spotlighting prenatal differences in neural circuitries,” said Moriah Thomason, Ph.D., an assistant professor in the WSU School of Medicine’s Department of Pediatrics, WSU’s Merrill Palmer Skillman Institute and section head of the Unit on Perinatal Neural Connectivity within the Perinatology Research Branch of NICHD/NIH/DHHS. “Observed effects agree with evidence of atypical brain connectivity in preterm-born neonates, and establish for the first time that those differences have onset prior to the potentially injurious experiences of early delivery,” said Thomason. 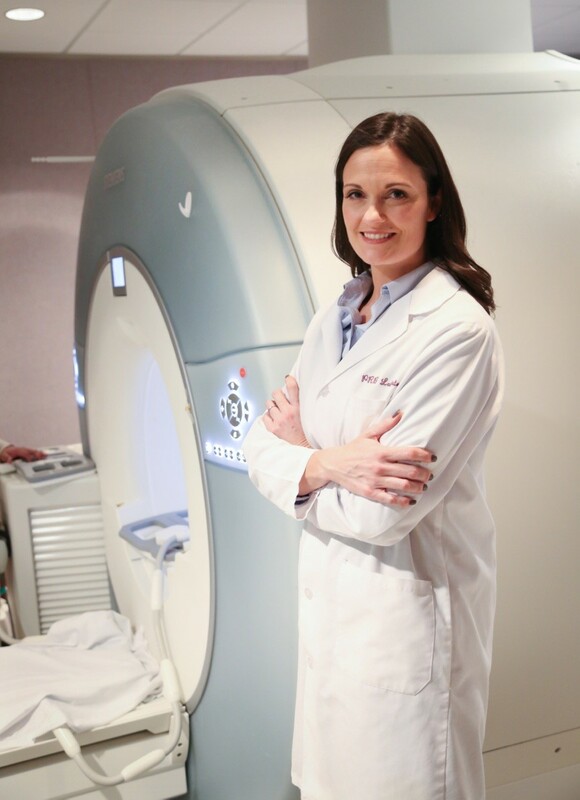 The work was done by a multidisciplinary team that included neuroscientists, obstetricians and gynecologists, specialists in Maternal-Fetal Medicine, pediatric neurologists, experts in neuroimaging (MRI), and bioinformatics specialists. Investigators included Moriah Thomason, Dustin Scheinost, Janessa Manning, Lauren Grove, Jasmine Hect, Narcis Marshall, Edgar Hernandez-Andrade, Susan Berman, Athina Pappas, Lami Yeo, Sonia S. Hassan, R. Todd Constable, Laura R. Ment, and Roberto Romero. Roberto Romero is the Branch Chief of the Perinatology Research Branch of NICHD/NIH and that the Branch is housed in Detroit, Michigan at the Wayne State University Campus. This project was supported by grants from the National Institutes of Health (MH110793 and ESO26022), by a National Alliance for Research on Schizophrenia and Depression Young Investigator Award, and, in part, by the Perinatology Research Branch of the Division of Intramural Research of NICHD/NIH, under contract number HHSN 275201300006C.